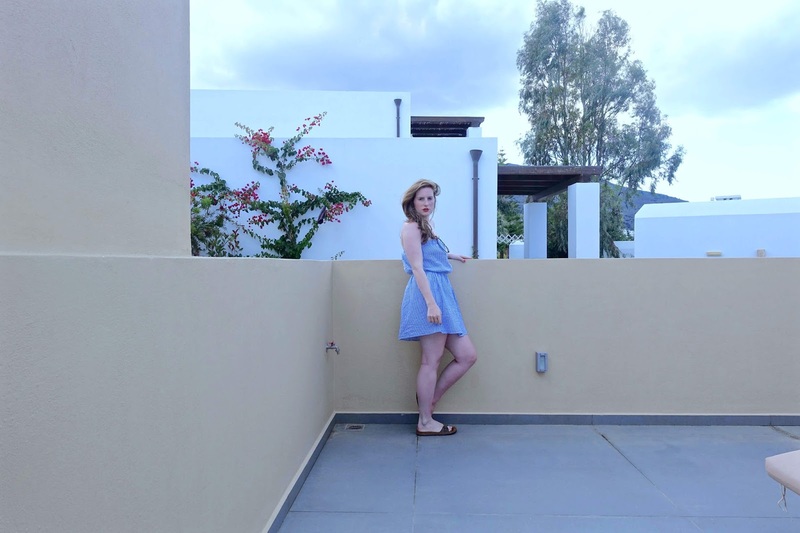 As many of you will know, I'm back from a wonderful week in Crete, where I stayed in the beautiful little fishing village of Elounda and I have lots of beautiful blogging content to share with you from my trip! 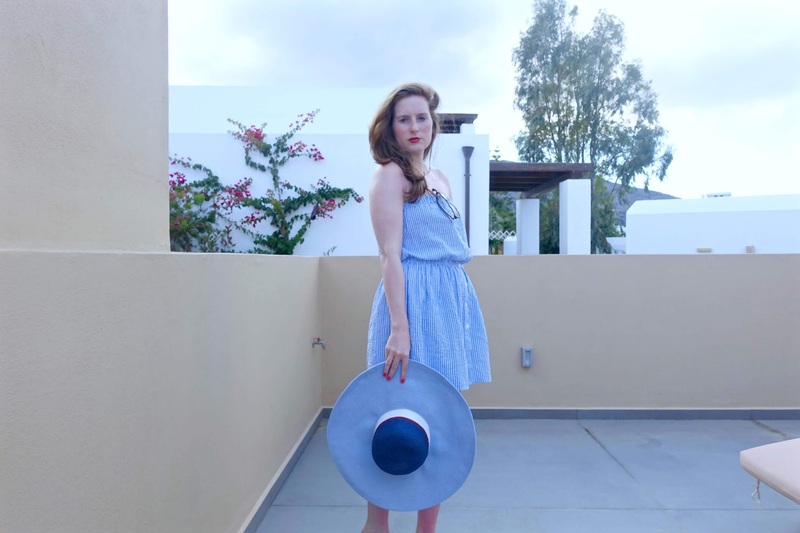 I even managed (amongst all the eating, sunbathing and excessive cocktail drinking) to snap a few outfit photos, however, don't get your hopes up, because there really are only a few - I was far too lazy / busy soaking up the sun and relaxed to spend time snapping much more than the beautiful view and pina colada after pina colada. Basically, we had this huge big balcony space with two sun-loungers right outside the front of our room, and we were the only room located on the top floor our of two storey block, which was solely for our sun-bathing use, as you can imagine this was fab because we didn't have to worry about missing out on the early morning sun-beds as this was a sun-trap from morning to evening! It also worked as a good spot for taking some outfit photos. To be honest, most days followed a rather lazy styling routine, with minimal layers, and minimal accessories, I'm all for getting glammed up on an evening, however during the day I'm all about comfortable, floaty outfits that make prancing around in the sunshine far too easy. 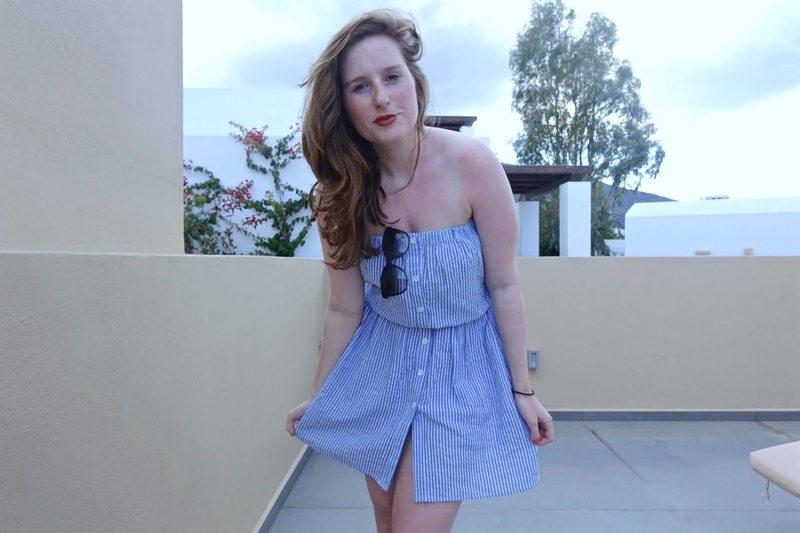 The ASOS holiday shop pretty much occupied the whole of my suitcase, I'd gone mad with a few spending sprees online on the run up to our Greek getaway and found so many 'me me me' pieces, including this lightweight button-through beach-dress, doused in a soft cotton fabric which perfectly paired with another one of my new ASOS purchases; the blue colour block straw floppy hat. With a perfectly wide, floppy brim it provided the perfect hideaway from the woes of reality - seriously - you can hide under there! Whenever I go abroad I always carry my trusty Birkenstocks - they are ridiculously comfortable and have never given me a single blister. 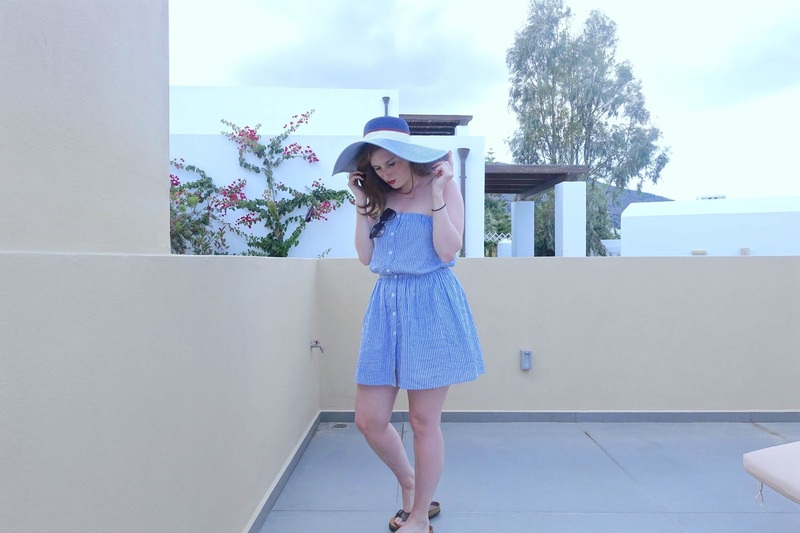 I hope you like my first travel / outfit post, there's lots more to come so watch this space. Plus - it would be great to know, what content are you liking best? That is so good that you had that space to yourself. I kinda need this dress in my life now!